Philips There are 50 products. Original replacement blades, batteries, brackets, parts and accessories for your wet and dry Philips S7310shaver. Features SkinGlide Rings with microspheres that reduce friction between the shaver and your skin.precision trimmer ideal for mustache and sideburns. 1 hour to fully charge, battery indicator. Ergonomic grip. Quality replacement heads, blades, parts and accessories for your Norelco / Philips HQ20 electric shaver. Philishave HQ444 has Individually floating heads, full width, pop-up trimmer, travel pouch. Replacement heads, blades, batteries, brackets, parts and accessories for your Norelco / Philips HQ8240 electric razor. The Norelco 8240XL is a rechargeable and washable shaver with triple track shaving blades. Contour-following system and precision trimmer, charges in 1 hour, includes soft pouch. 8200 Series Electric Razor, rechargeable with Speed-XL shaving heads. Ultra thin heads Precision Cutting System, anti-bacterial coating. 1 hour charginf time gives 50 minutes of autonomy. Low battery indicator. Reflex Action system shaver with corrosion-free individually floating heads. Protection cap, automatic voltage selection: 100-240V. Quality replacement heads, charger, protective cap, blades, batteries, parts and accessories for your Philips HQ6695 electric shaver 6000 Series. The Philishave 6695 is a cordless and corded shaver with a full width pop-up trimmer, dual blade system, Reflex Action system, Individually floating heads, Charging time: 8 hours. Quality replacement heads, blades, parts and accessories for your Norelco / Philips HQ6940 Series 3000 dry electric shaver. Rechargeable dry shaver with CloseCut dual blades. Full width trimmer, ergonomic grip. 30 minutes of cordless shaving. The Philips 6990 is a rechargeable shaver with Reflex Action system that adapts to your face and Super Lift & Cut blades. Has a Full width trimmer and a ergonomic grip. 1 hour to charge for a 30 minutes of run time. Quality replacement heads, blades, parts and accessories for your Norelco / Philips HQ7742 Coolskin shaver. Waterproof shaving system, individual floating heads, Super Lift & Cut: 27 blades, 3D contour following, 8 hour charging, 45 minutes autonomy, Precision trimmer, Moisturising Shaving System. Quality replacement heads, blades, parts and accessories for your Norelco / Philips HQ7760 Coolskin shaver. Quality replacement heads, blades, parts and accessories for your Norelco / Philips HQ7762 Coolskin shaver. Quality replacement heads, blades, parts and accessories for your Norelco / Philips HQ7780 Coolskin shaver. Quality replacement heads, charger, battery, blades, parts, protective cap and accessories for your Philips HQ7782 Coolskin shaver. Nivea For Men shaver with a new waterproof shaving system. Lotion dispensing shaver, glide rings that keep the gel in contact with the skin. Indicator of full battery, recharging time 1 hour. Suitable for use in shower. The Philishave 8870 Sensotec is a rechargeable Shaver with 2 NiMh batteries, charges in 1 hour for 40 minutes of shaving time. Features 3D countour system, floating heads, charging indicator and hair trimmer. Original and aftermarket replacement heads, blades, motors, spare parts and accessories for your Norelco / Philips HQ8894 Sensotec rechargeable electric shaver. The Philishave 8894 is a Waterproof shaver, Dual shaving head, Individually floating heads, Vibration free, rotating system, 3D Contour following shaving system, Charging time 1hour, li-ion battery. Quality replacement heads, blades, parts and accessories for your Norelco / Philips HQ7300 electric shaver. Quality replacement heads, blades, parts and accessories for your Norelco / Philips HQ7320 Series 7000 washable electric shaver. Norelco / Philips HQ7380 replacement heads, blades, parts and accessories for your 7000 Series electric shaver. Washable shaver, Charging: 1 hour, Comfort shaving heads, Full width pop-up trimmer, Reflex Action system, Dual blade system,Precision Cutting System. Quality replacement heads, blades, parts and accessories for your Norelco / Philips HQ7740 Coolskin shaver. Rechargeable Aquatouch shaver with DynamicContour Response with heads that automatically adjusts to the curve of your face. Wet & Dry Use, DualPrecision heads with slots. Led display and a Lithium-ion Battery that provides 40 minutes of autonomy. Philips AT890 replacement heads, blades, batteries, brackets, charger and parts. The AquaTouch At890 is a wet and dry shaver. Rechargeable with Dual-Precision Heads that have slots and holes. Waterproof with full width trimmer. The Li-ion battery provides over 50 minutes of autonomy with one charge. Washable with QuickRinse system. LED Charging indicator. Max power consumption : 5,4 W.
Quality replacement heads, blades, parts and accessories for your Norelco / Philips PT715 PowerTouch electric shaver. Quality replacement heads, blades, parts and accessories for your Norelco / Philips PT725 Series 3000 dry electric shaver. Quality replacement heads, blades, parts and accessories for your Norelco / Philips PT735 PowerTouch electric shaver. Replacement shaving heads, blades, retainers, charger, parts and accessories for your Philips PT860 PowerTouch dry electric shaver. Fully washable shaver with DualPrecision blades, pop-up trimmer, Flex & Float system, Can be used corded and cordless, over 50 minutes of Shaving time. The SensoTouch 1150 is a rechargeable shaver for use in dry or wet. GyroFlex 2D system with Dual Precision blades, the flexible heads adjust easily to the curves of your face. Battery indicator, travel lock and precision trimmer included.Lithium-ion provides more than 45 minutes of shaving time. SensoTouch series 7000 wet and dry shaver with DualPrecision blades to shave long hairs and short stubble, GyroFlex 2D system that adjusts easily to the curves of your face. Lithium-ion battery gives you up to 50 minutes of shaving time. Multi-level LED display. Quality replacement heads, blades, head holders, Batteries and spare parts for your Philips HQ7830 shaver. Quality replacement heads, blades, parts and accessories for your Norelco / Philips HQ7870 Quadra Action Nimh electric shaver. Quality replacement heads, blades, parts and accessories for your Philips HQ7415 Quadra Aquagenic electric shaver. Quality replacement heads, blades, parts and accessories for your Norelco / Philips HQ9100 SmartTouch-XL electric shaver. 2 in-1 tool with 2 separate attachments: for shaving and grooming, rounded combs. Two separate attachments: one for shaving and one for cleansing. Compact shaver with individually floating heads. 60 minutes of autonomy. Quality replacement heads, foils, parts and accessories for your Norelco / Philips HQ9120 electric shaver. Quality replacement heads, foils, parts and accessories for your Norelco / Philips HQ8180 electric shaver. Quality replacement heads, foils, parts and accessories for your Norelco / Philips HQ8190 electric shaver. Quality replacement heads, foils, parts and accessories for your Norelco / Philips HQ8175 electric shaver. Quality replacement heads, foils, parts and accessories for your Norelco / Philips HQ8170 electric shaver. Quality replacement heads, foils, parts and accessories for your Norelco / Philips HQ8100 electric shaver. Quality replacement heads, foils, parts and accessories for your Norelco / Philips HQ8220 electric shaver. Quality replacement heads, foils, parts and accessories for your Norelco / Philips HQ8255 electric shaver. Quality replacement heads, foils, parts and accessories for your Norelco / Philips HQ8280 electric shaver. Replacement heads, blades, chargers, retainers, spares and accessories for your Philips PT919 electric shaver. PowerTouch dry shaver with Triple Track blades, flexible system that adjusts to the curves of your face. Washable under water. Integrated trimmer and bibbed rubber handle. Quality replacement heads, foils, parts and accessories for your Norelco / Philips PT920CC electric shaver. Quality replacement heads, foils, parts and accessories for your Norelco / Philips PT925 electric shaver. Quality replacement heads, foils, parts and accessories for your Norelco / Philips PT927 electric shaver. Quality replacement heads, foils, parts and accessories for your Philips PT727 electric shaver. Quality replacement heads, foils, parts and accessories for your Philips HQ7743 Coolskin shaver..
Quality replacement heads, foils, parts and accessories for your Philips HQ7735 Coolskin shaver..
Quality replacement heads, foils, parts and accessories for your Philips HQ7737 Coolskin shaver..
Quality replacement heads, foils, parts and accessories for your Philips HQ7745 Coolskin shaver..
Quality replacement heads, foils, parts and accessories for your Philips RQ1050 electric shaver. Quality replacement heads, foils, parts and accessories for your Philips RQ1051 electric shaver. Quality replacement heads, foils, parts and accessories for your Philips RQ1052 electric shaver. Quality replacement heads, foils, parts and accessories for your Philips RQ1053 electric shaver. Quality replacement heads, foils, parts and accessories for your Philips RQ1059 electric shaver. Quality replacement heads, foils, parts and accessories for your Philips RQ1060 electric shaver. Quality replacement heads, foils, parts and accessories for your Philips RQ1061 electric shaver. Quality replacement heads, foils, parts and accessories for your Philips RQ1062 electric shaver. Quality replacement heads, foils, parts and accessories for your Philips RQ1075 electric shaver. Quality replacement heads, foils, parts and accessories for your Philips RQ1076 electric shaver. Quality replacement heads, foils, parts and accessories for your Philips RQ1077 electric shaver. Quality replacement heads, foils, parts and accessories for your Philips RQ1085 electric shaver. Quality replacement heads, foils, parts and accessories for your Philips RQ1087 electric shaver. Quality replacement heads, foils, parts and accessories for your Philips RQ1090 electric shaver. Quality replacement heads, foils, parts and accessories for your Philips RQ1095 electric shaver. Quality replacement heads, foils, parts and accessories for your Philips RQ1050x electric shaver. Quality replacement heads, foils, parts and accessories for your Philips RQ1059x electric shaver. Quality replacement heads, foils, parts and accessories for your Philips RQ1090x electric shaver. 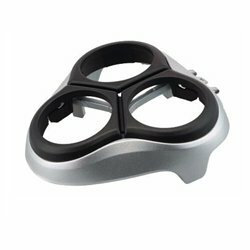 replacement blades, charging stand, head retaining plate, spare battery, parts and accessories for your Norelco 1150X electric shaver. Wet & dry washable shaver with GyroFlex 2D system that adjusts easily to every curve of your face. 40 minutes of run time with 1 hour charge. Battery display, protective cap. Quality replacement heads, foils, parts and accessories for your Philips RQ1160CC electric shaver. Quality replacement heads, foils, parts and accessories for your Philips RQ1160X electric shaver. Quality replacement heads, foils, parts and accessories for your Philips RQ1160XCC electric shaver. Quality replacement heads, foils, parts and accessories for your Philips RQ1165X electric shaver. Quality replacement heads, foils, parts and accessories for your Philips RQ1170X electric shaver. Quality replacement heads, foils, parts and accessories for your Philips RQ1180CC electric shaver. Quality replacement heads, foils, parts and accessories for your Philips RQ1180X electric shaver. Quality replacement heads, foils, parts and accessories for your Philips RQ1251 electric shaver. Quality replacement heads, foils, parts and accessories for your Philips RQ1252 electric shaver. Quality replacement heads, foils, parts and accessories for your Philips RQ1253 electric shaver. Quality replacement heads, foils, parts and accessories for your Philips RQ1254 electric shaver. Quality replacement heads, foils, parts and accessories for your Philips RQ1262 electric shaver. Quality replacement heads, foils, parts and accessories for your Philips RQ1265 electric shaver. Quality replacement heads, foils, parts and accessories for your Philips RQ1275 electric shaver. Quality replacement heads, foils, parts and accessories for your Philips RQ1285 electric shaver. Quality replacement heads, foils, parts and accessories for your Philips RQ1295 electric shaver. Quality replacement heads, foils, parts and accessories for your Philips RQ1250 electric shaver. Quality replacement heads, foils, parts and accessories for your Philips RQ1260 electric shaver. Quality replacement heads, foils, parts and accessories for your Philips RQ1261 electric shaver. Quality replacement heads, foils, parts and accessories for your Philips RQ1280 electric shaver. Quality replacement heads, foils, parts and accessories for your Philips RQ1260c electric shaver. Quality replacement heads, foils, parts and accessories for your Philips RQ1290X electric shaver. Quality replacement heads, foils, parts and accessories for your Philips RQ1260cc electric shaver. Quality replacement heads, foils, parts and accessories for your Philips RQ1285cc electric shaver. Quality replacement heads, foils, parts and accessories for your Philips RQ1295cc electric shaver. Quality replacement heads, foils, parts and accessories for your Philips PT875 electric shaver. Quality replacement heads, foils, parts and accessories for your Philips PT876 electric shaver. Replacement blades, batteries, heads, brackets, parts and accessories for your Philips Norelco AT830 electric shaver. Rechargeable wet & dry AquaTec shaver with pivoting head, Pop-up trimmer, low-friction flex heads. Low battery and charge LED indicator. Quality replacement heads, foils, parts and accessories for your Philips AT840 electric shaver. Quality replacement heads, foils, parts and accessories for your Philips AT870 electric shaver. Quality replacement heads, foils, parts and accessories for your Philips AT875 electric shaver. Quality replacement heads, foils, parts and accessories for your Philips AT880 electric shaver. Quality replacement heads, foils, parts and accessories for your Philips AT895 electric shaver. Quality replacement heads, foils, parts and accessories for your Philips HP1413 electric shaver. Quality replacement heads, foils, parts and accessories for your Philips HP1415 electric shaver. Quality replacement heads, foils, parts and accessories for your Philips HP1416 electric shaver. Quality replacement heads, foils, parts and accessories for your Philips HP1417 electric shaver. Quality replacement heads, foils, parts and accessories for your Philips HP1423 electric shaver. Quality replacement heads, foils, parts and accessories for your Philips HP1425 electric shaver. 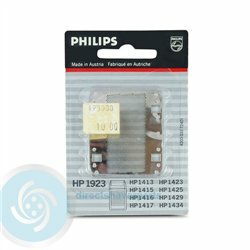 Quality replacement heads, foils, parts and accessories for your Philips HP1429 electric shaver. Quality replacement heads, foils, parts and accessories for your Philips HP1434 electric shaver. Quality replacement heads, foils, parts and accessories for your Philips HQ5800 electric shaver. Quality replacement heads, foils, parts and accessories for your Philips HQ5818 electric shaver. Quality replacement heads, foils, parts and accessories for your Philips HQ6925 electric shaver. Quality replacement heads, foils, parts and accessories for your Philips HQ6926 electric shaver. Quality replacement heads, foils, parts and accessories for your Philips HQ6906 electric shaver. Quality replacement heads, foils, parts and accessories for your Philips HQ6921 electric shaver. Quality replacement heads, foils, parts and accessories for your Philips HQ6922 electric shaver. Quality replacement heads, foils, parts and accessories for your Philips HQ6941 electric shaver. Quality replacement heads, foils, parts and accessories for your Philips HQ6942 electric shaver. Quality replacement heads, foils, parts and accessories for your Philips HQ6950 electric shaver. Quality replacement heads, foils, parts and accessories for your Philips RQ1140 electric shaver. Quality replacement heads, foils, parts and accessories for your Philips RQ1141 electric shaver. Quality replacement heads, foils, retainers, chargers, cables, parts and accessories for your Philips RQ1187 SensoTouch shaver. With the Series 7000 shaver you can get a comfortable dry shave or a wet shave. Features a beard styler attachment, LED display, foldable charging stand, cleaning brush, protective cap. Fully washable. Quality replacement heads, foils, parts and accessories for your Philips RQ1190 electric shaver. Quality replacement heads, foils, parts and accessories for your Philips S9021 electric shaver. Quality replacement heads, foils, parts and accessories for your Philips S9031 electric shaver. Quality replacement heads, foils, parts and accessories for your Philips S9041 electric shaver. Quality replacement heads, foils, parts and accessories for your Philips S9111 electric shaver. Quality replacement heads, foils, parts and accessories for your Philips S9112 electric shaver. Quality replacement heads, foils, parts and accessories for your Philips S9121 electric shaver. Quality replacement heads, foils, parts and accessories for your Philips S9151 electric shaver. Quality replacement heads, foils, parts and accessories for your Philips S9152 electric shaver. Quality replacement heads, foils, parts and accessories for your Philips S9161 electric shaver. Quality replacement heads, foils, parts and accessories for your Philips S9171 electric shaver. Quality replacement heads, foils, parts and accessories for your Philips S9311 electric shaver. Quality replacement heads, foils, parts and accessories for your Philips S9321 electric shaver. Quality replacement heads, foils, parts and accessories for your Philips S9371 electric shaver. Quality replacement heads, foils, parts and accessories for your Philips S9511 electric shaver. Quality replacement heads, foils, parts and accessories for your Philips S9521 electric shaver. Quality replacement heads, foils, parts and accessories for your Philips S9522 electric shaver. Quality replacement heads, foils, parts and accessories for your Philips S9531 electric shaver. Quality replacement heads, foils, parts and accessories for your Philips S9711 electric shaver. Quality replacement heads, foils, parts and accessories for your Philips S9712 electric shaver. 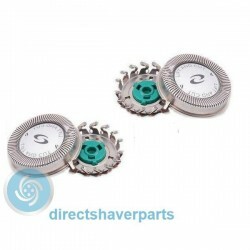 Quality replacement heads, foils, parts and accessories for your Philips S9721 electric shaver. Quality replacement heads, foils, parts and accessories for your Philips S9731 electric shaver. Quality replacement heads, foils, parts and accessories for your Philips S9911 electric shaver. Quality replacement heads, foils, parts and accessories for your Philips HP1401 electric shaver. Quality replacement heads, foils, parts and accessories for your Philips HP1402 electric shaver. Quality replacement heads, foils, parts and accessories for your Philips HP1406 electric shaver. Quality replacement heads, foils, parts and accessories for your Philips HP1407 electric shaver. Quality replacement heads, foils, parts and accessories for your Philips HP1403 electric shaver. Quality replacement heads, foils, parts and accessories for your Philips HP1409 electric shaver. Quality replacement heads, foils, parts and accessories for your Philips HP1410 electric shaver. Quality replacement heads, foils, parts and accessories for your Philips HP1411 electric shaver. Quality replacement heads, foils, parts and accessories for your Philips HP1412 electric shaver. Quality replacement heads, foils, parts and accessories for your Philips HP1421 electric shaver. Quality replacement heads, foils, parts and accessories for your Philips HP1422 electric shaver. Quality replacement heads, foils, parts and accessories for your Philips S5310 electric shaver. Quality replacement heads, foils, parts and accessories for your Philips S5140 electric shaver. Quality replacement heads, foils, parts and accessories for your Philips S5520 electric shaver. Quality replacement heads, foils, parts and accessories for your Philips S5320 dry shaver. Multiprecision blades, turbo button, 1 hour charging time, trimmer for moustache and sideburns, fully washable. Quality replacement heads, foils, parts and accessories for your Philips S5420 electric shaver. Quality replacement heads, foils, parts and accessories for your Philips S5150 electric shaver. Quality replacement heads, foils, parts and accessories for your Philips S5620 electric shaver. Quality replacement heads, foils, parts and accessories for your Philips S5400 Aquatec shaver. Wet and dry electric shaver with MultiPrecision Blade System, SmartClick precision trimmer, Rounded profile of heads, 45 minutes of cordless shaving, LED display, long-lasting lithium-ion battery, Protective cap, Max power consumption: 9 W.
Quality replacement heads, foils, parts and accessories for your Philips S5510 electric shaver. Original replacement heads, holders, brackets, parts and accessories for your Philips S5110 Series 5000 shaver. Dry shaver with MultiPrecision blade system, precision trimmer,Flex Heads with 5 movements, Lithium-ion battery. Quality replacement heads, foils, parts and accessories for your Philips S5130 electric shaver. Quality replacement heads, foils, parts and accessories for your Philips S5100 electric shaver. Original and aftermarket replacement heads, foils, cutters and spares for your Philips S5050 Wet and Dry electric shaver. Aquatouch shaver with ConfortCut blades, flexible heads and 30 minutes of cordless running time. Original Replacement heads, blades, brackets, parts and accessories for your Philips S5070 AquaTouch shaver. Wet and dry shaver with ComfortCut Blade System, Flex Heads with 5 movements, precision trimmer and travel pouch. Original and aftermarket replacement heads, foils, cutters, parts and accessories for your Philips S5340 electric shaver. Original and aftermarket replacement heads, foils, cutters, parts and accessories for your Philips S5530 electric shaver. Original and aftermarket replacement heads, foils, cutters, parts and accessories for your Philips S5600 electric shaver. Original and aftermarket replacement heads, foils, cutters, parts and accessories for your Philips S5008 electric shaver. Original and aftermarket replacement heads, foils, cutters, parts and accessories for your Philips S5010 electric shaver. Original and aftermarket replacement heads, foils, cutters, parts and accessories for your Philips S5011 electric shaver. Original and aftermarket replacement heads, foils, cutters, parts and accessories for your Philips S5013 electric shaver. Original and aftermarket replacement heads, foils, cutters, parts and accessories for your Philips S5015 electric shaver. Original and aftermarket replacement heads, foils, cutters, parts and accessories for your Philips S5071 electric shaver. Original and aftermarket replacement heads, foils, cutters, parts and accessories for your Philips S5075 electric shaver. Original and aftermarket replacement heads, foils, cutters, parts and accessories for your Philips S5076 electric shaver. Original and aftermarket replacement heads, foils, cutters, parts and accessories for your Philips S5077 electric shaver. Original and aftermarket replacement heads, foils, cutters, parts and accessories for your Philips S5078 electric shaver. Original and aftermarket replacement heads, foils, cutters, parts and accessories for your Philips S5079 electric shaver. Original and aftermarket replacement heads, foils, cutters, parts and accessories for your Philips S5080 electric shaver. Original and aftermarket replacement heads, foils, cutters, parts and accessories for your Philips S5081 electric shaver. Original and aftermarket replacement heads, foils, cutters, parts and accessories for your Philips S5082 electric shaver. Original and aftermarket replacement heads, foils, cutters, parts and accessories for your Philips S5085 electric shaver. Original and aftermarket replacement heads, foils, cutters, parts and accessories for your Philips S5086 electric shaver. Original replacement heads, trimmers, blades, cutters, parts and accessories for your Philips S5090 electric shaver. Wet and dry shaver with ComfortCut system, 35+ minutes of running time, cleansing brush, fully washable. Original and aftermarket replacement heads, foils, cutters, parts and accessories for your Philips S5091 electric shaver. Original and aftermarket replacement heads, foils, cutters, parts and accessories for your Philips S5095 electric shaver. Original and aftermarket replacement heads, foils, cutters, parts and accessories for your Philips S5099 electric shaver. Original and aftermarket replacement heads, foils, cutters, parts and accessories for your Philips S5205 electric shaver. Original and aftermarket replacement heads, foils, cutters, parts and accessories for your Philips S5210 electric shaver. Original and aftermarket replacement heads, foils, cutters, parts and accessories for your Philips S5211 electric shaver. Original and aftermarket replacement heads, foils, cutters, parts and accessories for your Philips S5212 electric shaver. Original and aftermarket replacement heads, foils, cutters, parts and accessories for your Philips S5213 electric shaver. Original and aftermarket replacement heads, foils, cutters, parts and accessories for your Philips S5230 electric shaver. Original and aftermarket replacement heads, foils, cutters, parts and accessories for your Philips S5231 electric shaver. Original and aftermarket replacement heads, foils, cutters, parts and accessories for your Philips S5270 electric shaver. Original and aftermarket replacement heads, foils, cutters, parts and accessories for your Philips S5271 electric shaver. Original and aftermarket replacement heads, foils, cutters, parts and accessories for your Philips S5272 electric shaver. Original and aftermarket replacement heads, foils, cutters, parts and accessories for your Philips S5273 electric shaver. Original and aftermarket replacement heads, foils, cutters, parts and accessories for your Philips S5290 electric shaver. Original and aftermarket replacement heads, foils, cutters, parts and accessories for your Philips S5330 electric shaver. Original and aftermarket replacement heads, foils, cutters, parts and accessories for your Philips S5335 electric shaver. Original and aftermarket replacement heads, foils, cutters, parts and accessories for your Philips S5355 electric shaver. Original and aftermarket replacement heads, foils, cutters, parts and accessories for your Philips S5360 electric shaver. Original and aftermarket replacement heads, foils, cutters, parts and accessories for your Philips S5370 electric shaver. Original and aftermarket replacement heads, foils, cutters, parts and accessories for your Philips S5380 electric shaver. Original and aftermarket replacement heads, foils, cutters, parts and accessories for your Philips S5390 electric shaver. Original and aftermarket replacement heads, foils, cutters, parts and accessories for your Philips S5391 electric shaver. Original and aftermarket replacement heads, foils, cutters, parts and accessories for your Philips S5395 electric shaver. Original and aftermarket replacement heads, foils, cutters, parts and accessories for your Philips S5396 electric shaver. Original and aftermarket replacement heads, foils, cutters, parts and accessories for your Philips S5560 electric shaver. Original and aftermarket replacement heads, foils, cutters, parts and accessories for your Philips S5570 electric shaver. Original and aftermarket replacement heads, foils, cutters, parts and accessories for your Philips S5571 electric shaver. Original and aftermarket replacement heads, foils, cutters, combs and accessories for your Philips BG2020 electric shaver. Philips Norelco Ultimate bodygroomer, All-in-one grooming solution for men, integrated trim & shave head for a close shave with self-sharpening blades, 3 combs, wet and dry use, charging time: 8 hours, 100% water proof, ergonomic design. Original and aftermarket replacement heads, foils, cutters, combs and accessories for your Philips BG2024 Bodygroom. 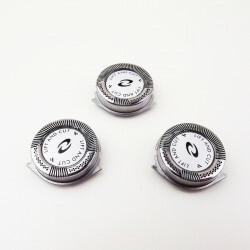 Original replacement foils, heads, cutters, batteries and accessories for your Philips BG2026 Showerproof body groomer. Replacement foils, heads, batteries, combs and accessories for your Philips/ Norelco BG2028 bodygroom shaver. Norelco 3100 is a washable waterproof body groom for all male body, the battery lasts for 50 minutes, has a battery level indicator and 3 combs included for different hair lengths. Replacement heads, foils, cutters, batteries and combs for your Philips / Norelco BG2030 Ultimate Bodygroomer. Original and aftermarket replacement heads, foils, cutters, combs and accessories for your Philips BG2034 Body Groomer. Showerproof Bodygroomer with 3 fixed combs (1/8, 3/16 or 9/32" trim), Extra long handle to remove back hair, easy to clean, water-resistant. Original Philips replacement heads, foils, cutters, combs and accessories for your Philips BG2036 Showerproof body groomer. The Bodygroom BG2036 has a Skin comfort system has a hypoallergenic foil and rounded tips, 3 fixed length combs and a long handle for convenient back grooming, NiMH battery with 50 minutes of cordless use. Original and aftermarket replacement heads, foils, cutters and accessories for your Philips Norelco BG2038 body groomer. Original replacement heads, foils, combs, combs and accessories for your Philips BG2040 Wet/Dry Body Groomer. Original heads, foils, cutters, combs and batteries for your Norelco / Philips QG3360 Multigroom Kit. Face & Head Multigroom with high performance trimmer, nosetrimmer, cordless and corded use, beard & moustache comb, detail & stubble comb, hair-clipping comb, water resistant, Charging time: 1 hour. Original foils, cutters, combs and batteries for your Philips QG3362 Multigroom. 8 in 1 trimmer for beard, hair and body. 18 adjustable lengths, 50 minutes of cordless use, metal trimmer, Detail foil, self-sharpening blades, NiMH battery, Turbo power button. Original replacement heads, foils, cutters, combs and batteries for your Philips QG3371 Multigroom waterproof trimmer. Original heads, foils, cutters, combs and batteries for your Philips Norelco QG3380 Gromming Kit. The Multigroom QG3380 is a All-in-One grooming kit with 5 attachments and 3 combs, 18 length setting comb, 21mm precision trimmer, tube nose trimmer, high performance battery and a hypo-allergenic foil. 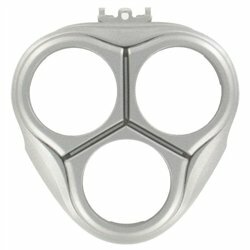 Replacement heads, foils and accessories for your Philips TT2000 shaving foil head. Wet and dry use for use in shower and easy cleaning, 100% waterproof to trim and shave your body in the shower. Easy to clean. Original replacement heads, foils, combs, and parts for your Philips TT2020 Bodygroom. TT2020 is a cordless body groomer for men, with 3 combs (3, 5 and 7mm), integrated 32mm width cutter, Skin Conform system, charging stand. Original and aftermarket replacement heads, foils, cutters, combs and parts for your Philips TT2021 Bodygroom body trimmer. Original heads, foils, cutters, combs parts and accessories for your Norelco / Philips TT2030 body groomer. Bodygroom series 5000 with large 32mm trimmer, sensitive XS trimmer, 5 length settings up to 11 mm, charging stand, charging indicator. Philips TT2039 original replacement heads, foils, cutters, parts and combs. Original replacement heads, foils, combs, parts and accessories for your Philips TT2040 Bodygroom. All-in-one body groomer for men, with a integrated trimmer on one side and a contour system on the other, hypoallergenic foil, adjustable 3-11mm comb, 100% showerproof, NiMH battery for 50 minutes of cordless use, charging: 1 hour. Original and aftermarket replacement heads, foils, cutters and parts for your Philips YS521 Shave & Groom shaver. SmartClick, 2 separate attachments: for shaving and grooming. Rounded combs, battery status light, automatic voltage: 100-240V. Original replacement heads, foils, cutters, spare parts and accessories for your Philips / Norelco YS524 Click&Style shaver. Shave, groom & style with 3 click-on/off attachments, 5 length settings, autonomy up to 40 minutes. Original and aftermarket replacement heads, foils, cutters, Combs and accessories for your Philips YS534 3 in 1 shaver. SmartClick, 3 attachments for shaving, styling and grooming, hair trimmer, ComfortCut Blade System. Original and aftermarket replacement heads, foils, cutters, parts and accessories for your Philips HP6572 electric shaver. Original and aftermarket replacement heads, foils, cutters, parts and accessories for your Philips HP6574 electric shaver. Original and aftermarket replacement heads, foils, cutters, parts and accessories for your Philips HP6576 Satin Perfect epilator. The SatinPerfect Deluxe is a Cordless epilator with LED light and a mirror. Extra wide epilation head with ceramic discs. Vibrate system to lift fine hairs. 2 speeds, 40 minutes of runtime with 1 hour charge. 2550 Rotations per minute. Original replacement heads, batteries, epilation foils, cutters, charger, parts and accessories for your Philips HP6578 SatinPerfect Epilator. Cordless epilator with Built-in Opti-light, wide epilation head and active hair lifter. Vibrating massage bar and pressure control. Purple metallic Color. Original replacement blades, foils, combs, batteries, chargers, parts and accessories for your Philips HC3410 electric shaver. Hairclipper with DualCut system, long lasting Stainless steel blades, 1mm to 23mm length settings. Ni-MH battery 60 minutes of run time. Storage hard case included. Spare combs and parts, replacement blades, heads, batteries and accessories for your Philips HC3420 hair clipper. Rechargeable Hair Clipper with self-sharpening steel blades and 13 length settings. 60 minutes of autonomy with a 8 hour charge. Includes hard case and scissors. Original and aftermarket replacement batteries, blades, chargers, cutters, combs and accessories for your Philips HC3424 HairClipper. Rechargeable with 60mins. of power after a 8 Hour charge. Adjustable beard comb from 1 to 23mm. Stainless steel washable blades. No oil needed for maintenance. Replacement blades, charger, heads, foils, cutters, parts and accessories for your Philips HC5438 Hair Clipper. Rechargeable Dual Cut hair clipper with steel blades, click release head, 24 adjustable settings. Original Philips HC5440 replacement blades, combs, chargers, batteries, heads and accessories. Rechargeable Series 5000 Hair Clipper with Ni-Mh battery, steel blades, 4 Precision beard combs included and 23 adjustable length settings. Original replacement blades, combs, batteries, charger and accessories for your Philips HC7450. Original Blades, cords, heads, foils, holders, cutters, parts and accessories for your Philips S1100 shaver. Original blades, heads, power cords, cutters and spare parts for the Philips S1110 dry electric shaver. Convenient corded shaver with Close Cut system, pop-up trimmer and flex heads. Philips S1320 replacement heads, brackets, retaining plates, blades, parts and accessories. Rechargeable series 1000 dry shaver with flexible heads in 4, 35 minutes of run time and CloseCut Blades. Original replacement blades, batteries, heads, head holders, chargers, parts and accessories for the Philips S1510 shaver. Rechargeable dry shaver with flex heads that sdjusts the curves of your face, durable blades, over 40 minutes of autonomy. Lithium-ion battery. Original replacement blades, head holders, batteries, heads, parts and accessories for your Philips S1520 electric shaver. Series 1000 Rechargeable shaver with flex heads, trimmer, 45 minutes of shaving. Ergonomic grip. Original replacement heads, chargers, blades, retaining brackets, plactes, parts and accessories for your Norelco / Philips S1560 electric shaver. Series 2000 Dry shaver with CloseCut system, flexible heads that adjusts to the face and neck curves, 35 minutes of autonomy, lithium-ion battery. Philips S1570 Original replacement heads, blades, holders, batteries, parts and accessories. Rechargeable dry shaver with pop-ip trimmer, CloseCut Blades. Includes a travel pouch, Black charcoal grey black color body. Replacement heads, blades, batteries, parts and accessories for your Philips S3110 electric shaver. Dry Shaver with rounded profile washable heads, rechargeable in 8 hours. Ergonomic grip. Power consumption: 9 W.
Original Philips S3120 replacement heads, blades, chargers, brackets and accessories. The S3120 is a shaver with ComfortCut Blades, Flexible heads in 4 different angles to adjust to the curves of the face. Over 45 minutes of running time. Battery indicator. Original replacement heads, cord, blades, brackets and accessories for your Philips Norelco S3310 shaver. Series 3000 dry shaver, blades with rounded edges, heads that flex in 4 independent directions, Lithium-ion battery that gives up to 45 minutes of run time. Fully washable. Philips S3510 replacement heads, blades, power cords, protective caps, head holders and accessories for the Philips S3510shaver. Original replacement trimmer, brackets, heads, charger, parts and accessories for your Philips S7311 electric shaver. 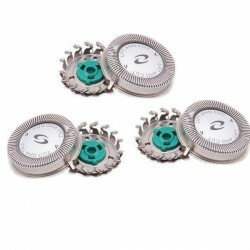 Series 7000 Fully washable shaver with GentlePrecisionPRO Blades and V-shaped blades. More than 50 minutes of shaving time with one charge. Automatic voltage. SmartClick system. Original replacement heads, batteries, holders, parts and accessories for your Philips S7510 electric shaver. Wet and dry electric shaver with ergonomic grip, 3 level battery indicator. Max power consumption: 5.4 W.
Original replacement parts, blades, battery, brackets and accessories for your Philips S7520 electric shaver. Series 7000 Wet and Dry shaver with smartclick beard styler, 50 minutes of cordless shaving. battery indicator, cleaning indicator and low battery indicator. Front color: Navy blue. 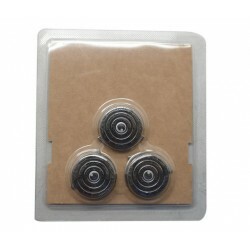 Original replacement blades, battery, retainers, parts and accessories for your Philips S7530 washable electric shaver. Wet and Dry shaver with Gentle Precision blades, anti-friction rings to protect the skin and cleansing brush. 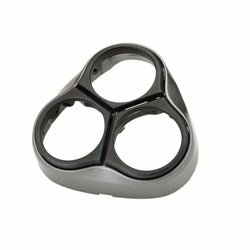 Shaver heads flexible in five directions to adjust to the face. Original replacement heads, trimmer, charger, caps, parts and accessories for your Philips S7710 electric shaver. Top of the line S7000 series washable shaver with Gentleprecision System, precision trimmer. Thousands of tiny rounded spheres protect the skin. 3 level battery indicator, Lithium-ion Battery. Ergonomic grip. skin-friendly precision trimmer,ideal for your moustache and sideburns. Original replacement heads, brackets, holders, chargers and accessories for your Philips S7780 electric shaver. Wet and Dry shaver with precision trimmer, cleansing brush, gentle blades. Original replacement head, battery foil, cutter, charger and spare parts for your Philips HP6306 Ladyshave Epilator. Philips SatinShave Wet and Dry battery operated lady shaver with hypoallergenic foil and ergonomic handle. Includes cleaning brush and travel cap. Original replacement heads, blades, charger, batteries, parts and accessories for your Philips QP2520 OneBlade Face styler. OneBlade shaver system with a new technology designed for wet or dry styling and grooming. Contour following system to comfortably trim and shave. Dual sided blade. Original replacement blades, combs, charger, batteries and spares for your Philips QP2530 styler. The Oneblade Qp2530 is a new device designed to trim, edge and shave your face without harming you skin. 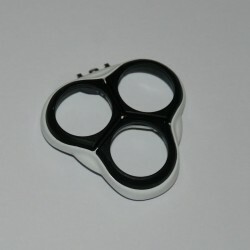 Comes with 4 stubble combs and can be used in wet or dry. 60 minutes of autonomy. Original replacement combs, blades, cutters, charger and accessories for your Philips QP2531 wet and dry trimmer. The new OneBlade QP2531 is a all body styler for wet or dry use. Includes 4 combs and a protective cap. Philips QP6510 OneBlade Pro replacement blades, comb, charger, protective cap, parts and accessories. Original replacement heads, blades, foils, combs and accessories for your Philips QP6520 wet and dry shaver. Features a precision comb with 14 adjustable settings, dual sided blade to shave in any direction. Rechargeable with LED display, ergonomic grip and travel pouch. Original and aftermarket replacement heads, foils, cutters, parts and accessories for your Philips HP6367 electric shaver. Replacement head, foil, charger, parts and original accessories for your Philips HP6570 SatinPerfect Epilator. Electric Epilator uses a wide head with ceramic discs, vibration system and opti light. Washable with 2 speed settings. Green colour. Original replacement heads, batteries, poutches, spares and accessories for your Philips HP6575 cordless epilator. SatinPerfect epilator with Skin Perfect System. Features ceramic textured discs with 32 catching points and hair lift massage, can be used in wet or dry. Original SatinPerfect replacement head, foil, cutter, power supply, parts and accessories for your Philips HP6577 epilator. Skin Perfect epilator with shaving head. Confortable cordless operation in wet or dry. Wide epilation head, tweezing discs and a detachable shaving head. Includes cleaning brush and storage pouch. Original and aftermarket replacement epilation head, protective cap, cutter, parts and accessories for your Philips HP6579. SatinPerfect rechargeable epilator with precision epilator for sensitive parts. 2 speed settings. Original replacement foils, cutters, heads, charger, batteries and accessories for your Philips HP6581 Epilator. Deluxe cordess epilator system with precision epilator, shaving head and tweezers. Extra-wide epilation head with ceramic discs, hair lift attachment and opti-light. Original replacement epilator heads, foils, trimmer, parts and accessories for your Philips HP6582 epilator. Wet and Dry satin perfect epilator with shaving head and trimming comb. Lift and massage system, ceramic discs, sensitive area cap. Includes storage pouch. Original Philips HP6583 replacement head, foils, cutters, trimmer, batteries, spare parts and accessories. Philips complete epilator with 6 acessories. Very wide epilator head with ceramic textured discs, sensitive area cap for very delicate skin, shaving head and portable tweezers. Can be used in dry or wet and has 40 minutes of autonomy. Includes trimming comb and cleaning brush.